There are many things to consider, as you take the leap from student to doctor. Most fourth-year students finish their final semester ailing from a strange combination of senioritis and doctoritis. By the end of your clinical rotations in 4th year, you most likely have completed every academic milestone that stands in your way of graduation. The countless hours of studying for boards are over. There is no more test week anxiety. Yet, you are left in a state of limbo, in which you’re essentially paying an institution to be a full-time employee for your extern preceptors. The four grueling years of optometry school are almost over, and due to all of that hard work that you put in, it is hard not to feel an overwhelming sense of entitlement as graduation approaches. You want a reward, a paycheck, a signing bonus, or anything of value to represent the tireless hours that you spent preparing for this very moment. For much of us, this is also the exact moment in time that we seriously begin to contemplate our job options. A first career choice often shapes the course in which our entire lives take, and can bring with it a new, different kind of stress. If you haven’t been through the process of landing a job, especially the right job, then you might be in for a rude awakening. It is true, that your degree will allow you to find employment in nearly any place that you want to go. The corporate practices will be knocking down your door with promises of six-figure salaries, and maybe even a sign-on bonus. While there is nothing wrong with working in a corporate setting, the intent of this article is to encourage new graduates to consider private practice optometry, particularly as a partner or an owner. As you continue to read, I will discuss some of the things to look for in an employment contract, especially when dealing with a private practice owner that is seeking a partner or buyer as he or she transitions into retirement. I’ll also dive into some or the pros of the private practice modality, including practice autonomy, specialty care, and career earning potentials. Are you a practice owner considering bringing on a partner? Watch this discussion between Matt Geller, OD, and Brett Kestenbaum, DPT of CovalentCareers, Inc. for more insight on when, why, and how to hire optometrists for your practice. 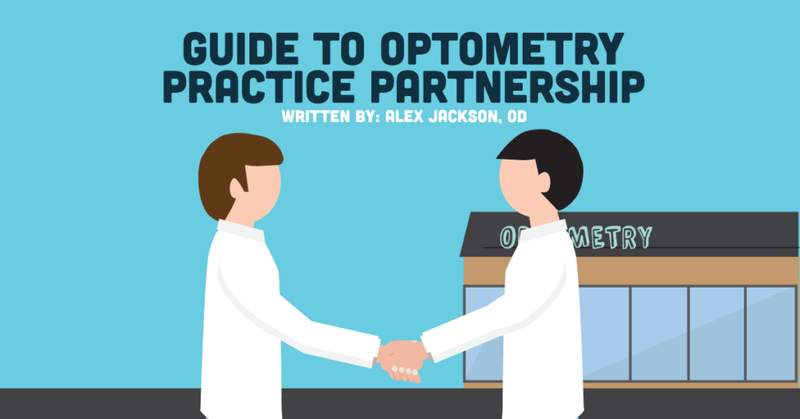 Where to Begin with Optometry Practice Partnership? Yes, for some of you, this might be in your 3rd clinical year. At the bare minimum, you should begin networking at this time. This might be as simple as making a LinkedIn account, registering for your school’s placement service (if you have one,) or working on a CV. Most importantly, take advantage of conferences and conventions to network and meet some doctors, particularly in states that you are interested in practicing in. While creating the perfect resume for yourself does have its relevance, simply showing your face, may arguably be the most important step in securing a position as a private practitioner. Let’s use my personal experience as an example. Of the five private practice interviews that my wife (also a new graduate optometrist) and I had collectively, zero of the doctors were interested in a CV or resume. After my first interview, I was taken aback a little by this, but afterward I sat down and thought about it. I asked myself, “Why would a private practitioner strongly value my CV in his/her hiring decision?”, and soon came to the realization that most new optometry graduates start out on the same playing field. True, some of us are club presidents, scholarship recipients, residents or even have experience as technicians or opticians, but at the end of the day, most private practice owners are looking for a friendly face and a personality. Essentially, a doctor who is competent, but most importantly, will bring patients into the practice and keep them there (for their entire lives in many instances). It is essential not to wait for the spring term of your fourth year to start applying for private sector jobs, because for every great opportunity, there are two or three more jobs in practices that are behind the times, don’t have the space, or are not willing to pay you the salary that you want and need. 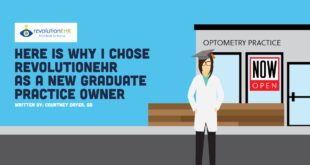 Yes, you might walk into one or two solo practitioner’s offices that graduated from optometry school in 1952, hung out their shingle and started a practice from scratch. It will shock you how little some of these optometrists have changed their practices over the years, and how small the physical space of the practices can be. The opportunity that I just laid out could actually be turned into a huge return on investment if taken on by the right individual in the right place (further discussion on this topic to come later). The interview is a chance for a doctor to meet you in person and determine whether or not you are a good fit for his or her business. More importantly, it is a great opportunity for you to ask the interviewer questions to assess whether their practice is the right fit for you. Based off my limited personal experience, and that which my peers have shared with me, asking the tough questions can be the hardest part about the process, particularly when ownership or partnership is part of the equation. Despite our innate reluctance to dive head first into these sticky conversations, it is absolutely essential to uncover specific details about the transaction. Yes, this means asking the owner to show you the books! I’m not promoting that you bluntly request this information during your very first meeting with an owner, but if you are serious about immediate partnership, then you must have an idea about the financial state of the practice. Any doctor unwilling to share this information either has something to hide, or is just too stubborn or reluctant to realistically make the deal happen. All it takes to get a general idea about the productivity of a practice is a simple non-disclosure agreement signed by you, the person receiving the information in question, and the subsequent release of secure income statements and tax returns. These two items can provide you a general overview of how things are running, yet amazingly, there are a large number of doctors out there who simply won’t show you a single piece of hard and fast data. Some of these docs will quote you a number, tell you what they are taking home, or vaguely explain that, “This is gonna be a great opportunity for you,” but won’t bring forth a single piece of evidence. In most instances where immediate partnership or ownership is being negotiated (within a year or two), this should probably be a warning sign that you might want to stay away, or at least, a red flag to consider when weighing your options. Keep in mind, that the approach that I just suggested, is one that you might consider taking if serious about partnership or future ownership in a private practice. Those of you seeking an associate position, who aren’t sure about buying in just yet, would likely benefit better from slow playing it. Scenario # 2 represents an associate to partner transition that would typically occur over the span of a two to five-year period. This is likely the most popular route that new graduates (and their prospective employers) are choosing to pursue today, and is the direction that my bosses and I decided to take. An associateship to partnership set-up provides the greatest security to each party involved. It allows a new graduate time to acclimate themselves to the practice and their potential partners, without the added stress of taking on the new and unfamiliar responsibility of being an owner (and a boss). It also gives the staff and the doctors you will work with the opportunity to get to know your personality, agenda, and patient care strategies, thus determining whether you are a good cultural fit for the practice. From a financial point of view, there is less financial risk for you, the prospective partner, than if you buy in right away (Scenario #1). A few years of steady income can go a long way when trying to aggressively tackle student loan debts, build equity in a home, and/or accumulate savings for future purchases (stock in a practice). Saving for a significant down payment on a practice can reduce your interest rate, thus saving you money in the long run. In contrast, there is more inherent risk in buying in sooner, but it can prevent you from paying more at a later date (more to come). This is the slow play. This is perfect for a new graduate seeking employment in a setting that allows them full practice autonomy, or one who is interested in private practice but not yet committed to the idea. Associateship leaves the door open for future negotiations in the practice that employs you, or the opportunity to transfer your services elsewhere if it ends up not being the right fit for either involved party. In this case, beware of a “covenant not to compete” clause. Employment contracts can be quite overwhelming, particularly for new graduates, with little or no experience interpreting the enclosed contents. Rather than diving into every detail, it is probably better served to touch on the highlights. The most important element of the contract, and the one that will likely matter most to you, is compensation. Employee payment in optometry can be presented in a number of ways, because our profession is still, for the most part, a retail driven industry. The bulk of the compensation package can come from salary, production based pay or a hybrid of the two traditional definitions. Fixed salary payment in optometry may soon become obsolete, as the common trend is to offer a guaranteed salary base with a production based bonus or on a per diem basis. Production payments can be orchestrated in a few different ways. The first thing to be cognizant of when overviewing a production plan is the revenue stream that your bonus will be calculated from. Terms like “gross receipts” or “net collections” indicate that the payment will be generated from all payments received for all services rendered, including optical and contact lens sales, unless otherwise specified. Be aware of language such as, “professional services” or “professional fees,” as this usually indicates that all retail receipts will be excluded from calculations. Nevertheless, a fixed percentage of these collections will be awarded as a bonus that can be structured in a number of formats. A contract that pays for a percentage of production “less the salary” will require you to achieve X amount in collections or receipts monthly, quarterly or yearly before receiving a bonus. If an employee is paid a yearly salary of $50,000 and a yearly bonus based on 25% of net collections less the salary, then this would require the individual to collect over $200,000 for the year in receipts before obtaining a bonus. When walking into an established practice with stable patient flow, this payment arrangement could allow you to generate a substantial percentage of your income through production, possibly exceeding that which you would have made as a 100-K fixed salary employee. However, if you were walking into an office where you were required to build up your own patient base, then the pay would likely prove insufficient or underwhelming, especially in your first year or two as a provider. Another common production incentive plan involves payment on a per diem basis with a daily production bonus awarded each pay period. This would be structured as a fixed day rate salary ($300-$400 per day) with a doctor being awarded a percentage of daily collections over X amount. When signing a contract based on a per diem rate, ensure that there is language that dictates a minimum number of days per week that you will be employed. If there is not, then having that language included in the contract will provide you a more secure and predictable income. Avoid accepting a contract that provides a small base salary (less than 50-K) and production generated solely on professional fees or services collected. To receive adequate compensation, this would require a much larger percentage of collections to provide a substantial bonus, especially if structured as being awarded less the salary. Covenant not to compete: This portion of the contract dictates an area, typically in miles or square miles from the business, that is “off-limits” in the event that you decide to quit or are relieved from your position with a practice. Its purpose is to provide the employer security against financial losses that may occur if the employee relocates to a nearby location to compete for the services of existing patients and potential new clientele in the area. According to my personal legal counsel, a covenant not to compete is only enforceable when taken to court, if the language is reasonable. Here is a reasonable example: Employee X agrees not to practice optometry or participate in any associated eye care services within 5 square miles of the business location for one year following the termination of the contract, or within 10 square miles of the practice for the 2 years thereafter. A ridiculous non-compete might be (extreme example): Employee Z agrees not to practice optometry or participate in any associated ophthalmic or optical services within county X or any contiguous county of county X in the state of New York for 10 years following the termination of the agreed upon contract. As a general rule, anything greater than a 10 square mile radius (especially in a metropolitan area) or with a term longer than 2 to 3 years, should be renegotiated. 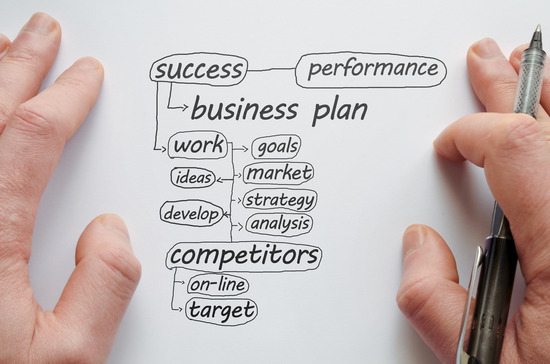 Even though a ridiculous non-compete clause likely won’t be enforceable in the court of law, it is better to put in the work on the front end, to avoid a scenario in which litigation and court costs would be required, which can be very expensive even in the event that you win. Employee Benefits: Any non-salary benefit provided by your employer should be considered as part of the income package. This can include health or dental benefits, 401-K or IRA matching, continuing education stipend, and/or licensing fees, all of which are non-taxed benefits. Having these benefits covered via your small business is better than a cash equivalent increase in salary (paying for these items from your own pocket requires the use of your post-tax income). Malpractice Insurance: This clause is a requirement from your employer that you maintain malpractice insurance over X amount and will dictate whether you are responsible for attaining and/or paying for said coverage. In some cases, a doctor will add you to the practice’s existing plan and pay for your premium, yet another a benefit. Disclaimer: In all binding contractual agreements, you should seek the advice and guidance of a lawyer, most importantly. Many lawyers will offer complimentary services, initially, to establish a relationship with you long-term. It may also behoove you to seek out financial advisement, consulting, or advice from a respected peer or fellow optometrist. The timing for partnership negotiation will depend on when a deal or transition is expected to take place. For any employee seeking ownership or any employer looking to sell immediately (within 5 years,) then there absolutely must be language in the original employment contract describing the agreement. This a situation where the employee’s career decision is strongly influenced by the opportunity for ownership. Having the details in ink upfront, provides the security that you will be able to achieve your future goal of partnership, given the right cultural fit. That being said, it also requires the owner to feel comfortable enough to commit to you, as a future partner, before a working relationship is established. Don’t be surprised if you’re asked to give multiple interviews or at least have multiple informal meetings with the current owner(s). Let’s jump back to my personal experience as an example. Following my initial, formal interview, my bosses (future partners) had me come back with my wife for a dinner night with their spouses. Looking back on the experience, I really appreciate the time they took to do so. Not only did it provide us the opportunity to interact in a more social setting, but it also provided my wife an additional comfort to be able to meet the people we would potentially commit to long-term, and a chance to see and experience the city that we would be moving to, together. But if that weren’t enough, a few weeks later, my associates invited me up for a day of kayaking, and another chance to interact and discuss the business, future career aspirations, and our core ethics. To top it off, they offered me the job half-way through the river run! This ended up being one of my greatest life experiences, a moment that I will never forget, and one that I will highly consider, if the opportunity to higher a new business partner presents itself in the future. 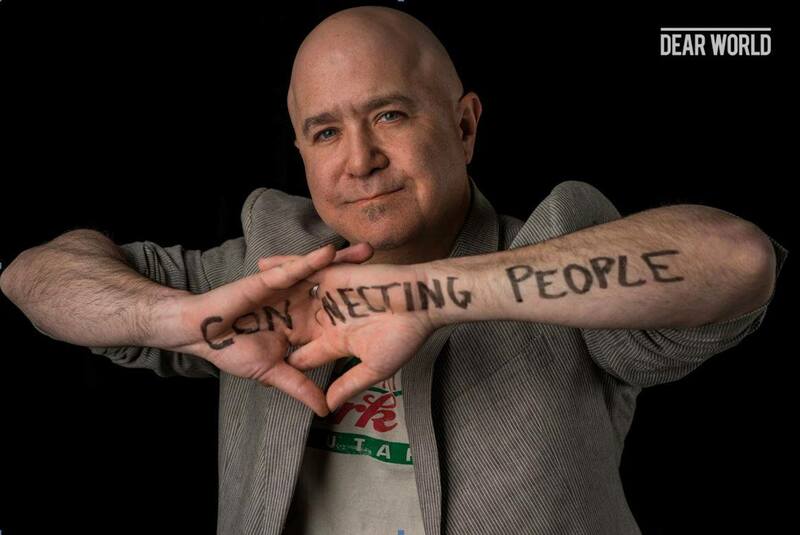 The purpose of sharing this personal experience of mine is to illustrate what it looks like to truly establish a relationship with the people that you might be in business with for years and years to come. It’s often said that a business partnership is like a marriage. A level of compatibility should always be measured before signing an agreement in ink. Cultural fit, similar interests and personalities, and most importantly core values (dignity, ethics, faith) should all be in alignment to ensure the best outcome for each party. The physical terms for partnership are much simpler. All that is necessary, is a clause or a section of the employment contract, stating that a stake (percentage) of the practice will be offered on or before date X. One piece of counsel would be to look for any terminology that is contractually binding. An example: The associate agrees to purchase 50% of the practice on or before July 1st, 2020. Though it is unlikely that your potential partner would enforce the contractual terms in a court of law if the partnership didn’t come to fruition, it is better for everyone involved to have language that lays out a negotiation, rather than a certainty, at the given date. Another piece to consider, is having language that allows each party the opportunity to have the practice privately appraised, with a subsequent negotiation being struck based off of individual appraisal values. This is one of those things that might seem like common sense practice that takes place with any major purchase requiring a business loan, but it never hurts to have the additional language for security. Speaking of appraisals, there are a few methods that would be good to briefly mention. 1. One method involves taking X % of annual gross income, and is commonly used by consultants that deal with practice transitions. From recent experience, the current optometry practice market is valued at between 55% and 65% of the average of the past 3 years of gross revenue. An up to date, profitable and technologically advanced practice would fall closest to 65%, where as, the practice that is out of touch with current optometry would fall at 55% or lower. 2. Another evaluation approach is called the SSVS1 method, and would typically be used by a bank, accountant or financial institution involved in a small business transaction. Each approach is fairly self-explanatory, and you can imagine how they are valued based off of each given title. Any further discussion on the SSVS1 is probably too academic for this topic, as further details, can be researched individually. This partnership agreement would be executed within a year of starting as an associate. Obviously, with this timeline, you assume the greatest risk. But, those who risk the most also have the greatest potential reward. By purchasing sooner rather than later, you likely will secure a lower purchase price. Any associate that is minimally competent will increase the value of a practice by growing a patient base, and subsequently generating a greater income. Increased revenue equals increased purchase price. As aforementioned, this timeline, is a safer play. It reduces the financial risk and burden, and still gets you into the game in time to drive up your career earning potentials. One consideration with this modality might be to negotiate language in the contract to have the practice evaluated independently of the growth that you contribute to the revenue. Many owners would see this as unfairly biased towards the associate, with a frame of mind that the job opportunity and patient care opportunities that they provided you, allowed for the growth in revenue. If you are walking into a full schedule, one could argue that it was the practice, and not you that stimulated said growth. On the other hand, if you are responsible for building the majority of your patient base and the resultant revenue stream, then you should be compensated fairly. Waiting it out when your unsure is never the wrong choice. Some people only have a small ownership ember burning within them, whereas, others are consumed with the idea of being their own boss, and becoming the doctor they want to be in a practice that they own. Both types of new doctors will have successful careers. The draw back in waiting a great length of time before buying in, is that your career earning potential will slowly diminish the longer you work as an associate. One, because you could likely be making more in a corporate setting, and two, because you are inflating your purchase price by driving up gross revenue in the practice. This goes back to the scenario where a new graduate walks into the out-dated and nearly obsolete practice. If this doctor is still in practice, then the good news is that the practice is probably still turning a profit. 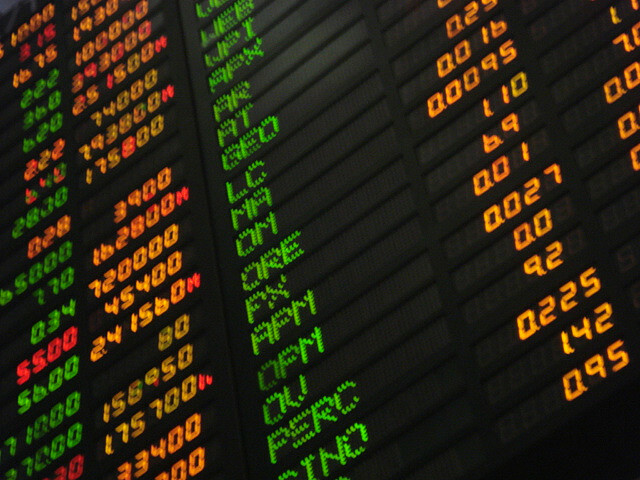 The cost of goods are typically so low, that he or she can make a good living with a comparatively low gross revenue. Lower yearly revenue means that you should be able to purchase this type of practice for way less. The challenge would be navigating the existing building and establishing a new culture when the transaction is final. The right new graduate, in the right area, and with the right patient base could truly be stumbling on a gold mine with this scenario. Once again, you would be assuming a greater risk up front, but may end up with the greatest return on investment of all the purchase scenarios. For those of you who aren’t familiar with this term, it means that you practice optometry the way that you want to. Most corporate entities structure the way that you deliver patient care and emphasize refractions, soft contact lenses and optical sales (there are a few exceptions). Generally, private practice should allow you more freedom. This almost always means that you will be providing primary eye care to your community (barring a high end optical or specialty care modality). Those skills that you paid good money to learn in school, including: Dilated fundus exams, uncomplicated glaucoma, ARMD and diabetic eye disease management, dry eye treatment and management, contact lenses, emergency office visits, foreign body removal. The list goes on and on. For those of you who want to tackle specialty contact lens, advanced corneal and ocular surface disease, vision therapy, etc., private practice will likely allow you the most freedom to do so. In some transitions, it takes time to develop your own patient base. This can be a stark contrast from the immediate workload that you typically walk into when working in a corporate setting. I actually try to put a positive spin on this in private practice. Starting slow can provide you the chance to decide who you are going to be as a clinician and how you want to practice. This could be as simple as, ironing down the exam process that makes you the most efficient, or it could allow you to identify an area of need or niche (dry eye, specialty lenses, diabetic care, etc.) that could benefit you, the practice, and the patients in your community. A slow start in private practice might be hardest to stomach early on if the majority of your paycheck is via production (should be considered when negotiating your contract as was aforementioned). Your staff was trained by the doctors that hired you. As a general rule of thumb, a fairly strict process will already be in place. The majority of your interaction will be spent with technicians, and thus, it is important to iron out indifferences that you recognize early on. The technicians are there to help you provide the care that you deem most appropriate for your patient, however, it can be a challenge to alter an existing process with a staff that is just as busy as you are, and often already set in their ways. To combat this, it is probably best to pick and choose your battles. It is not realistic for you to expect your staff to handle patients in an entirely different manner than they are accustomed to with the other doctors, so decide on a few things that you feel are most important in the patient care you deliver. In some instances, a new staff hire, will occur at or around the time of your hire. One suggestion, is to ask the doctors to allow you to take part in training the new hire, and having that technician primarily work with you and your patients. Warning: there will still be growing pains with newly trained staff. Typically, a private practice owner will not be able to provide you the cushy salary or signing bonus that you can get via the corporate or referral center route. Some owners may even feel that you should have to pay your dues before you start making the big bucks, and who could blame them. A lot of the guys selling to you started from scratch, literally building their practice from the ground up. It holds both intrinsic and nostalgic value to them, and in many cases, is their life’s work. For some, the increase in responsibility, will be the greatest deterrent from ownership and that is completely understandable. Obviously, it isn’t for everyone and money isn’t everything. If things like managing staff, handling insurance companies, and making/maintaining a budget aren’t for you, then there are plenty of other modalities out there. Keep in mind that you are hearing from a fellow new graduate, and that most of the recommendations I’ve made are based off of limited personal experience, so in no way am I laying out the golden formula for success in optometry practice partnership. With that being said, I have been fortunate enough to have received an education in practice management at my particular school of optometry, that was more beneficial to me then I could have ever imagined. I was also fortunate to have experienced job interviews in nearly every practice setting imaginable either personally, or via my wife, during our 4th years. My final piece of advice is to simply not settle. With a little bit of hard work on the front end, you can find your dream job and practice optometry the way that you want to for the rest of your career. A graduate of Southern College of Optometry in Memphis, TN. Completed undergraduate degree in Biology at the University of Tennessee at Martin. I currently work at Sango Eye Care, a multi-practitioner, private practice in Clarksville, TN. I am involved with Clarksville Young Professionals, the Clarksville Chamber of Commerce, the American Optometric Association and the Tennessee Association of Physicians. I have interests in the treatment and management of ocular disease, specialty contact lens fitting of corneal ectasias, sports vision, and private practice/small business management.